I arrive at the Berlin Hauptbahnhof (main train station) with an hour to spare, so I purchase postcards. I take a seat outside the grand station and write the four postcards – a few to family and two to the students I left out of the other day’s batch of notes back home. As I’m writing, a black man (unusual in Berlin, but no time for commentary on this issue now), looking confused, approaches me. He asks if I speak English in a halting tone that tells me English is not his native tongue. When strangers approach me in a train station and ask whether or not I speak English, I have learned through traveling in Italy in particular not to reply in most cases. An English-speaking tourist often provides the basis of a grift about needing money to escape a terrible situation. The way it goes is that, after ascertaining that a traveler is an American, the person hands over a piece of paper with a bad situation described in English writing. The person then looks sad and begs for money. Sometimes, I imagine, the tragedy is real – but it happens so often in places like Rome that I’ve learned to hesitate when people approach on this pretense. In Berlin, though, this is less frequent a problem. This guy, in any case, doesn’t appear to be a grifter. Upon my assent that I do speak English, he appears to be relieved and says that he needs to get to Alexanderplatz. He explains further that someone has told him that he needs to ride something called an “S-Bahn”. Jackpot! My specialty: giving directions to tourists who are going to one of the neighborhoods I know well. I have an opportunity here to comfort myself by comforting another person. “Oh yes,” I say. “It’s very easy to use – the S-Bahn. When you go inside, look for the ‘S’ I a green circle-” I motion with my hands, “and you’ll find this train on the top level. The S-Bahn goes east and west from here. You need to take it east, about three or four stops.” He thanks me and departs, hopefully a more confident traveler for having gained this information. “I feel like a superhero,” I had told two men from Boston in the laundromat, “whose superpower is to be able to read and explain the Berlin transit map (most of the time) for other tourists who are in need.” My duty done once again in this case, I feel satisfied. A kid – perhaps twelve years old – approaches me, now – did he hear me speaking English with the other traveler? – and hands me a paper sleeved in a laminate binding. He directs me to read it. I smell a grift. It’s entirely in English – a warning bell sounds – but it seems only to ask for signatures for a petition to make the EU more accessible for the hearing impaired. A fine cause, indeed! I trace with my finger dwon to the first empty line on the page and, writing one bit of info at a time, from left to right, I give a scrawled variant of my signature (though no printed name) and my postal code along with my city, state, and country. I have the thought that the EU doesn’t care what tourists think about this issue, but so far there’s no harm in offering this information. Then I come to a blank space on the far right side of the page. I look up above that blank spot where other tourists had specified – gasp! – various denominations of euros written above my empty box and, at the top of the column, the typed category reads “donation” above the column. Ah ha. Now we’ve come to it. “Ich habe kein Monat,” I say. (I realize later that I say that “I don’t have any months” instead of “I don’t have any money”). He says, in stammering English: “One euro?” and looks at me pleadingly. He nods in acceptance and starts away. “Wait,” I say. He stops and looks back in hope. I point to what he’s carrying and make a writing motion with my hand. He has my pen. He shrugs, hands it to me, and checks to find his own pen in his pocket. He flashes me a thumbs-up sign. “Viel Glück,” I offer. I can’t let my only decent pen get away from me that easily. We’re moving now! Headed to Leipzig today. 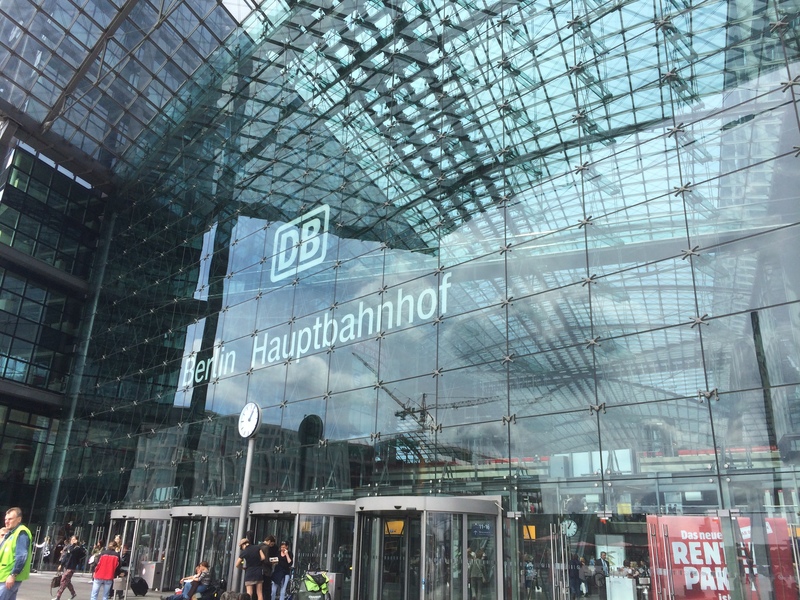 This entry was posted in Travelogue and tagged Berlin, grift, grifting, Leipzig, tourist, tourist scams, tourists, Train Station, trains, traveling. Bookmark the permalink.